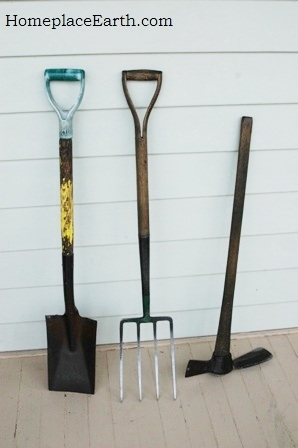 I bought a stir-rup hoe this past season and really enjoy using it to clear weeds. It works on both the pull and push stroke. This was the first year that I started double digging. I have three beds so far. 🙂 I bought a fork and spade locally just for the beds and they worked great. I am only 5’5″ so I got the short handled ones. They worked great for me. I have spina bifida and I was able to use the tools without any problems or pain!! My beds are currently under clover and wheat/fava/rye/vetch from Bountiful Gardens. I watched you use the cultivator in your video on cover crops (I have both videos) and now I want one. It looked easier than a broadrake (I think that’s what it is called–the heavy, straight, rake with short tines). Glad you can garden with spina bifida! No matter what size a person is or what conditions they are working under, each person needs to evaluate the possibilities and decide how to make them work for their needs. 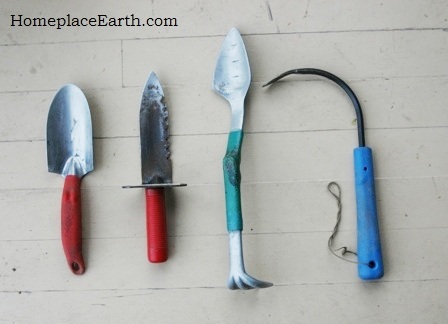 With longer tool handles, such as the cultivator or rake, you can always cut the handle to whatever size you need. Long ago I had an inexpensive hard rake that the rake head had come off the weld. That left a small metal “finger” on the end of the handle. 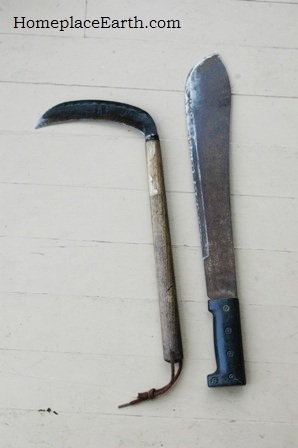 I cut the handle to a shorter length and it became my preferred (and much-loved) tool for weeding/cultivating the closely-spaced lettuce plants when I was a market gardener. Eventually the handle rotted and was never replaced (that’s still on my to-do list). The Cobrahead tool is a much larger version of what I had. As for the stirrup hoe–I’ve heard many people say they like it. Whenever I’ve ever used one, I tended to take out the plants I wanted to keep, along with the weeds.